eating – shopping – multicultural – cyclonic adventure. 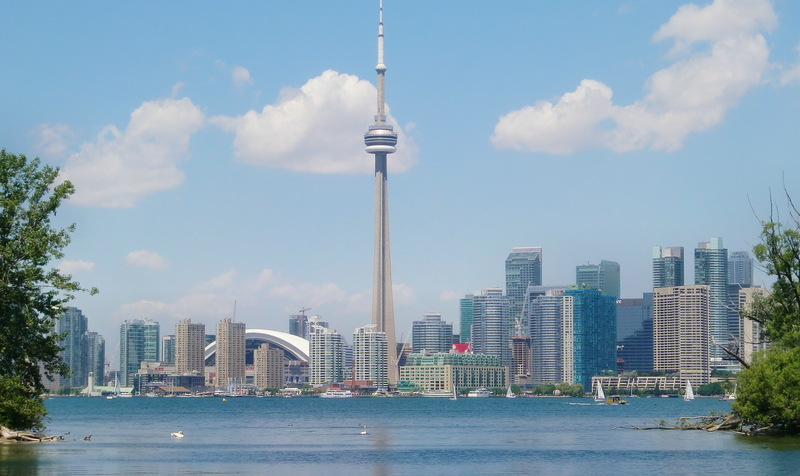 That’s the beauty of Toronto, you don’t have to have deep pockets to travel the world – the world comes to Toronto! It’s a 7 hr drive from our little city. A very long normally uneventful drive, filled with lots of “SOB” (slide over baby) turns , I like to call them . This time the trip was not quite as uneventful. We drove for several hours passing the occasional signage stretching across the highway, reminding us of the potential of Deer and Moose crossing at night. Just as we passed yet another sign, it happened. In a split second he popped up from a ditch about 3 or 4 car lengths ahead of us . Running full speed ahead with his long gangly legs resembling a teenage boy who’s legs have grown faster than his body . The Black Bear of the North. Running out into the highway not getting more than a few yards onto the pavement before realizing this was one of the worst decisions of his life. Luckily for him, there were no cars in the left hand lane so we quickly swerved to the left and tried to avoid the inevitable impact . The bear , for lack of better words, ran directly into the passenger side of our “NEW” car. The resulting blow was one of the most frightening things I had ever experienced. He was inches away from my window, talk about up close and personal. Checking the rear view mirror immediately after impact, we could see Mr. Bear rolling down the highway like a giant furry tumbleweed , then regaining his footage , sprinting to the other side of the highway. Fearing the worst , not only for him but for our cute little car, we stopped to assess the damage . Amazingly enough the only damage that was done to the car, was a slight dent in the door, and my bicycle on the bike rack had the wheel knocked off balance, which I found out later while riding around on Centre Island. That was the beginning of our Toronto trip . Some days it’s not good to believe in Karma and that was one of them, otherwise, I would have said ” Let’s go back home “, and missed out on a fabulous time in the city. This entry was posted in Home and tagged Canada, Recreation, Toronto, Travel by Ginger Smoothy and Otto Pilot. Bookmark the permalink.